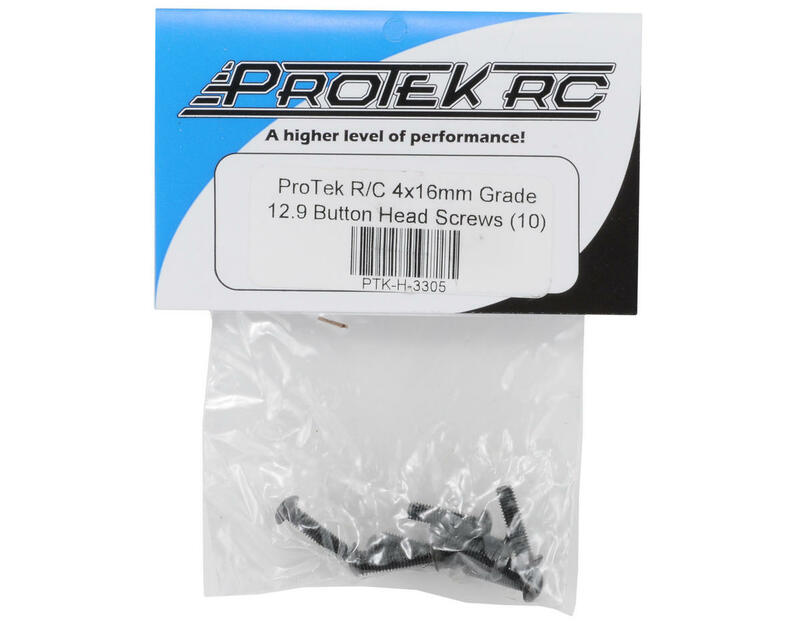 This is a pack of ten 4x16mm "High Strength" Button Head Screws from ProTek R/C. These are made from metric grade 12.9 steel which has a minimum tensile strength of 174,000 PSI. These screws are the strongest you can get and are suitable for the most demanding applications! Most manufacturer brand screws are not grade 12.9 steel, so these are a great upgrade for your car, truck or helicopter! 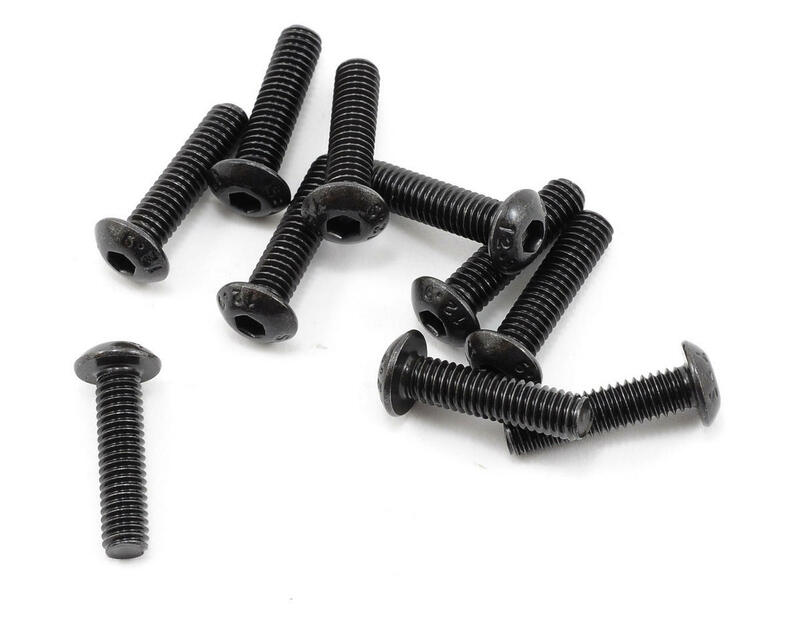 Very good quality and sturdy screws at a very good price.